Click here if you can't see the video below. I watched it several days ago and loved it. At first I thought it would be too painful to watch and I clicked it off the first time. Then I decided to try again and I'm so glad I did. This is his own personal story told in his own words. The thing I liked best was the personal photos and movies from the time he was born. It covered his life at Cambridge and his marriage and family life with Jane Wilde and their children. Watch it full screen on your computer or mobile device. This movie is 1 hour 28 minutes long. Stephen Hawking was diagnosed with ALS when he was 20 years old and he's been living with the threat of an imminent death for the past 52 years. His will to live is unbelievable as you will soon see if you decide to watch. This is real life. No actors. This is his story and this movie is very current, filmed in 2013 when he was 71 years old. He still goes to work every day as a Professor at Cambridge in a position once held by Isaac Newton. 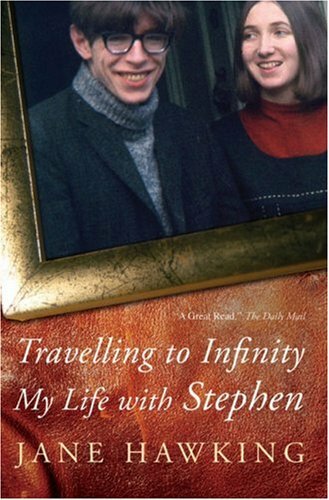 The movie that is either out now or about to be released The Theory of Everything starring Eddie Redmayne is based on a book that was written by Stephen Hawking's first wife. It was published in 2008 and is out of print. This is a hardcover book to look for at garage sales, book sales, and estate sales. Hardcover first editions are selling for around $1,000.00 -- see listing on Amazon. It's also available as an e-book. The BBC made a movie about Stephen in 2004 starring Benedict Cumberbatch. I watched it too AFTER watching the one above. I suggest you watch them in that order too. The BBC film fills in all the gaps about his education at Cambridge preceding his marriage to Jane. It's fabulous as you can well imagine. Benedict Cumberbatch never disappoints! This film is offered on YouTube in 6 parts. As each episode ends, you will be prompted to start the next one. It was very seamless. I know you can do it. Let me know if you watch either or both movies. You know I wouldn't recommend anything I didn't enjoy myself. I am so glad you suggested this. I too was afraid to watch. He is so fascinating. Thank you so much for suggesting this!! Cindy...I'm glad you took my advice and decided to watch the movies. I didn't know anything about Stephen Hawking and I was fascinated too. Nothing can stop him, can it? I thought I would just pop in and tell you how much I enjoy reading your blog. Though I have been reading yours for over a year I have never made a comment. You have the most interesting and enjoyable posts and pictures. How do you find all that fascinating stuff? I too love PBS and all the british shows and you always help me keep on top of what is on. I can not wait to watch these two movies about Stephen Hawking later this week. Thanks for all your posts and making me smile with your amazing pics. I look forward to many more. Victoria...We must have the same taste if you like my blog because I only post what I like. I know you will enjoy the two movies as much as I did. I am not able to watch these just now, but hope to come back to them and watch them this weekend. Like you, I only post about things that I like and I we must have the same taste too, because I love all your posts! Annette...thanks for the review of The Theory of Everything. I'll have to look to see where it's playing near me. Let me know how you like the videos online about Stephen Hawking I posted. You have a great three hours to look forward to.